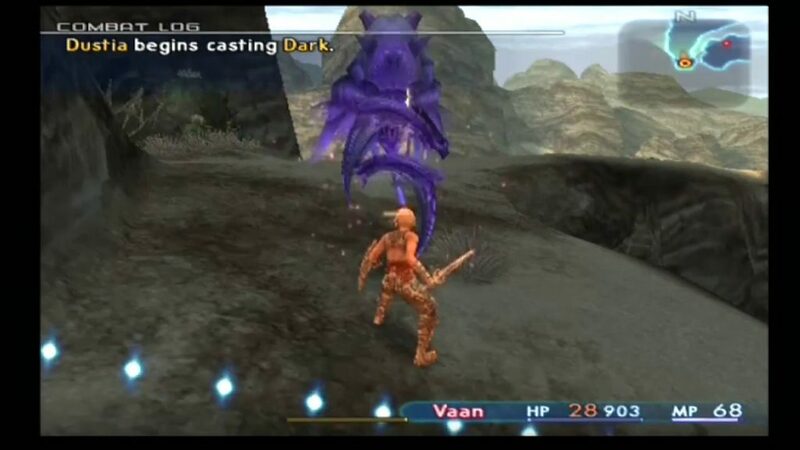 This is the sixth entry in an ongoing series of articles on The Lifestream called The Seven, in which we turn the spotlight on seven of the best (or worst) aspects in the Final Fantasy series. 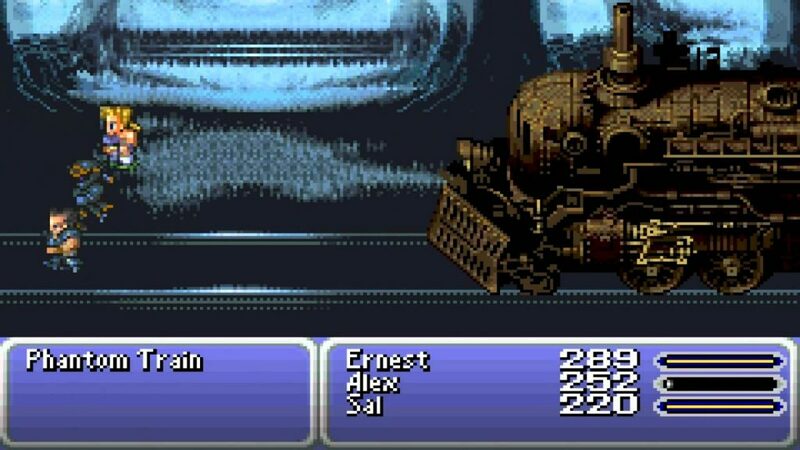 Previously in this series, we have looked at the best lines of dialogue in Final Fantasy VII, the best FMVs in the Final Fantasy series, the most difficult boss fights in the series, the most appropriate character themes , and the most interesting NPCs. The selections are made with the help of our community. As long as there have been computers, there have been glitches. Lovely little mistakes within code, things the developer overlooks, or things that seem to happen by pure magic. From the earliest days of arcade gaming to now there seems to be no end to these amusing things. If Final Fantasy XV taught us anything, it’s that bugs aren’t going anywhere (and that Cup Noodle is God’s Own Foodstuff). But what exactly counts as a glitch or an exploit? Many of the known bugs within Final Fantasy are unintentional consequences of coding, and are often catastrophic, though most of the ones you will see here are beneficial to the player. Some exploits, however, can occur by using the system a way that wasn’t intended (or at least doesn’t seem to be intended) by the developer. Then there are some popular “tricks” that do nothing at all! For instance, it is widely believed that if you are back attacked in Final Fantasy VII and begin to “run away” you will turn around to face the enemy, thus avoiding extra damage. This is not true. Your characters do turn around, but this is simply a cosmetic change: damage is not affected. The more you know. Anyway, on to the list. You may question a few of the community choices below, but our general rule was that if it felt odd, it probably was. There were over 35 nominated entries to go through to boot, and some popular ones such as the 64-Door Hierarchy, Lete River Leveling and Catnip Gunner were left in the dust. Just know we considered them all carefully. These are ordered not by their game but in ascending order of popularity among our community. 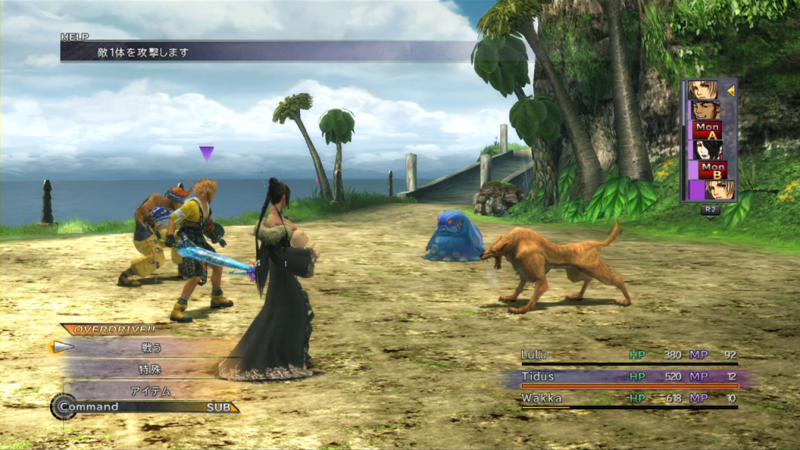 Final Fantasy X massively improved the Limit Break concept with its Overdrives. 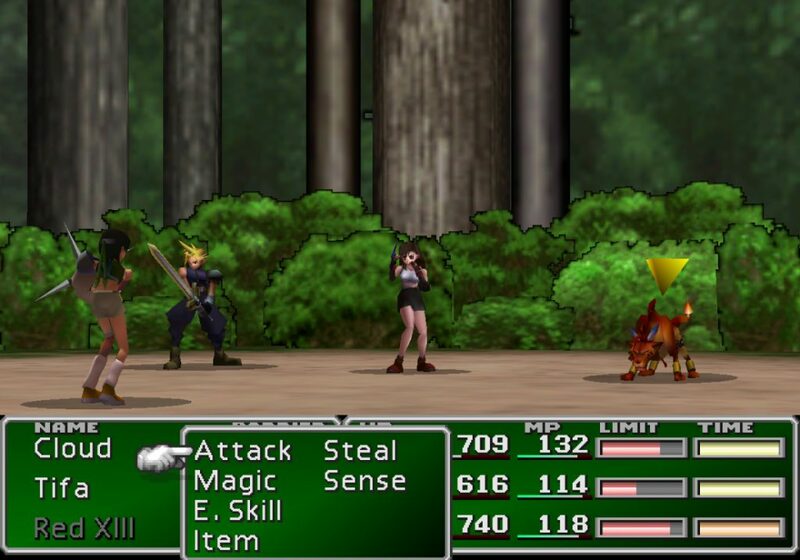 Along with the standard format from Final Fantasy VII of “take damage, get mad” you could set your Overdrive to charge under a variety of circumstances, such as killing enemies, winning battles, or even simply having your turn come round. And then the game gave you the ability to learn “Overdrive -> AP” which converted any rise in your Overdrive gauge into AP. There are numerous exploits involving this, such as setting your Overdrive condition to “Ally”, which charges every time you get a turn, and just never attacking. But by far the easiest method is setting it to “Comrade”, where your Overdrive rises whenever your allies take damage, and facing off against Arena superbosses such as Don Tonberry. If you’re looking to fill up that Sphere Grid, this is the way to do it. Some might argue that this isn’t a true exploit and is the system working as intended, and for that reason it’s the lowest on this list. Site author and forum moderator Ryushikaze mentioned this during The Lifestream’s Final Fantasy Retrospective podcast about Final Fantasy VII. 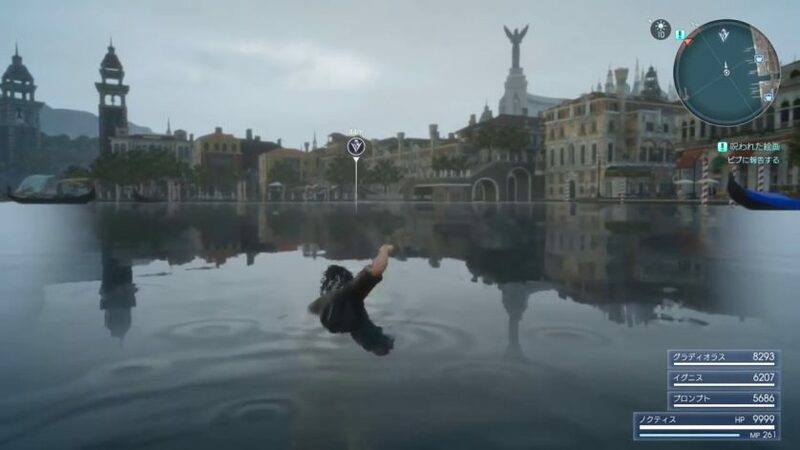 It is a curious coding glitch which has some rather humorous and potentially useful results for those willing to set it up; however, it’s PC version-exclusive. “When you kill an enemy, if you manage to zone out of the area before the “EXP” and “LP” text shows up, the game will interpret the enemy as “not killed” – you’ll still get the EXP and LP, but the enemy will still be there. Final Fantasy II tried something different with its leveling system – direct leveling stats based on characters actions. On paper it’s a brilliant idea. If you use magic, your magic stats go up. If you take damage but survive your HP goes up. What doesn’t kill you makes you stronger, so to speak. In practice, however, it’s all shot in the foot by a programming glitch which means actions you take will register the moment you enter them. What does this mean? Well, if you back out before setting the last character’s action, the first three will still get their benefits. You can do this multiple times in a single battle allowing for an insane boost of stats after only one fight. Perhaps the most broken of these glitches featured here in that it can be used to undo instantly almost every single enemy in the game, including bosses. Use Vanish on an enemy and then cast X-Zone or Doom on them. This will result (more often than not) in an instant death. X-Zone is more reliable but you get no items (including losing out on the Bahamut Magicite if you use it on Deathgaze) whereas Doom is less reliable but you get the loot. Now this one might make you scratch your head. It may not be exactly an exploit or a glitch, but it certainly feels like one to us when we’re playing. 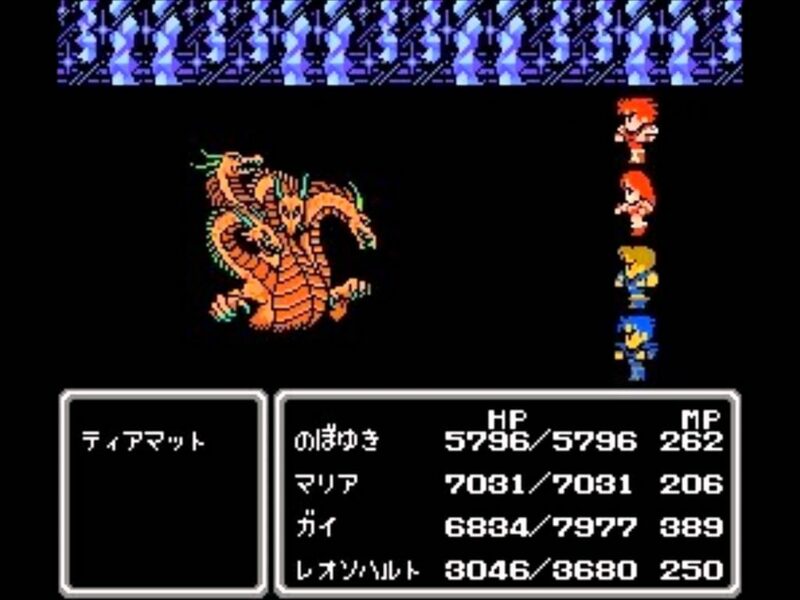 The inclusion of Undead enemies and bosses in the Final Fantasy series often come down to one oft-repeated trick: kill them with a Phoenix Down (see Dustia further up this list). The fact that this feels like a cheat even though it may not be stems from the fact that it essentially makes some of these bosses complete non-events. 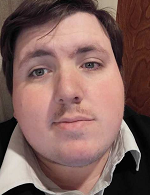 And besides, wouldn’t you rather suplex the train? Ah, Item Duplication. One of the most common forms of video game glitches and one that is present in almost every Final Fantasy game. 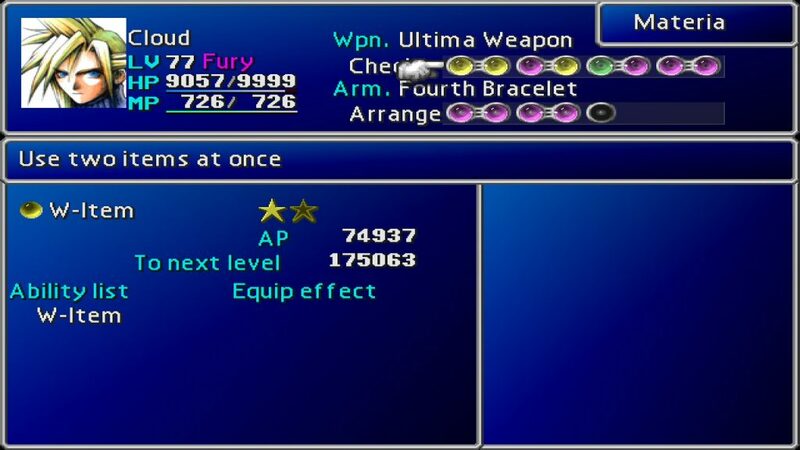 Perhaps unsurprisingly the community’s favorite is this trick using the W-Item Materia in Final Fantasy VII which allows you to populate your Item menu full of Elixirs, Hero Drinks and Vaccines to your heart’s content. So how does it work? Select the item you want to duplicate, use it, then select another item (doesn’t matter what, just something different). Cancel it out and your item count goes up by one. Give it a shot yourself next time you play! We sure do, Flintlock, and it’s our favorite Exploit in the series!